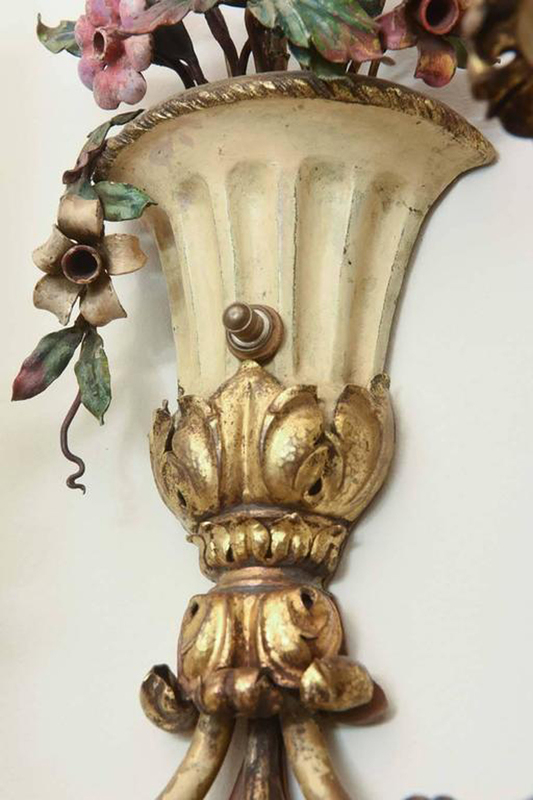 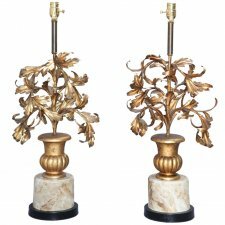 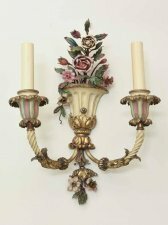 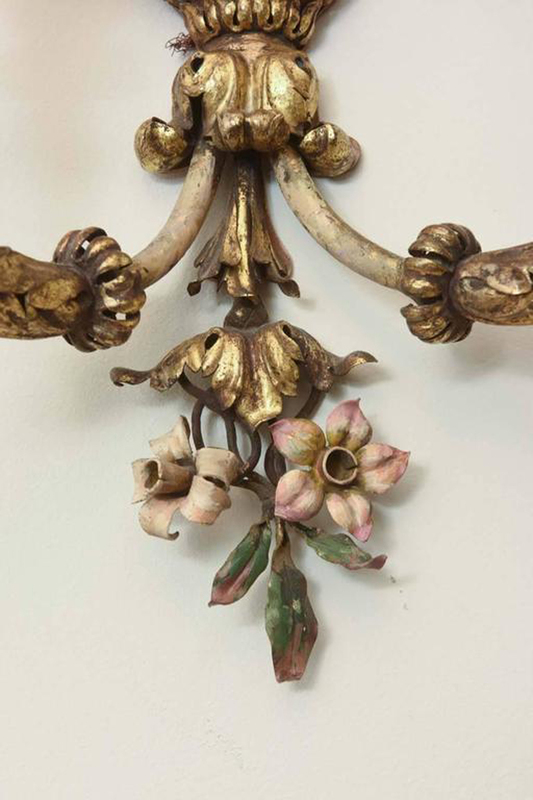 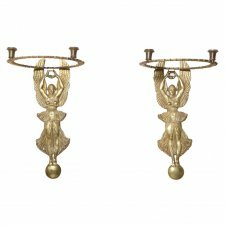 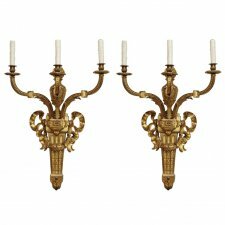 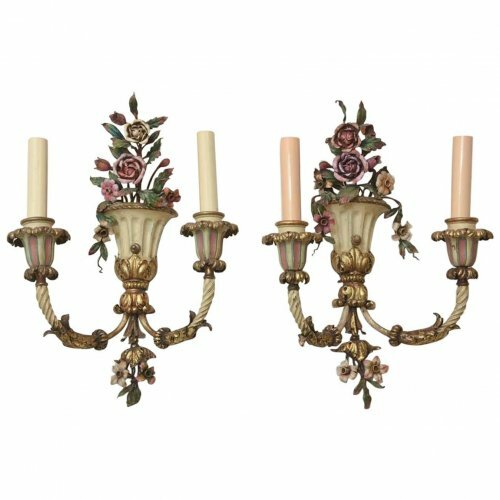 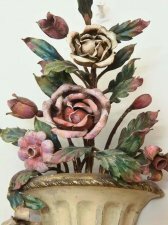 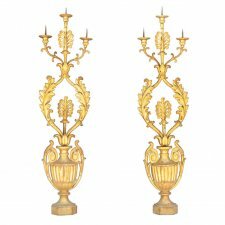 Home Antique Lighting Pair of Finely-Made Floral Urn Form Wall Sconces, Early 20th Century. 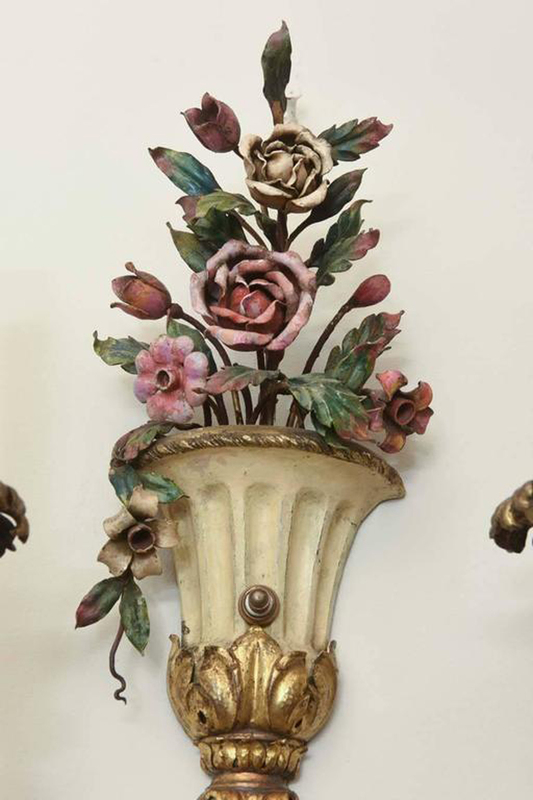 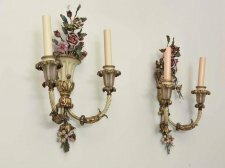 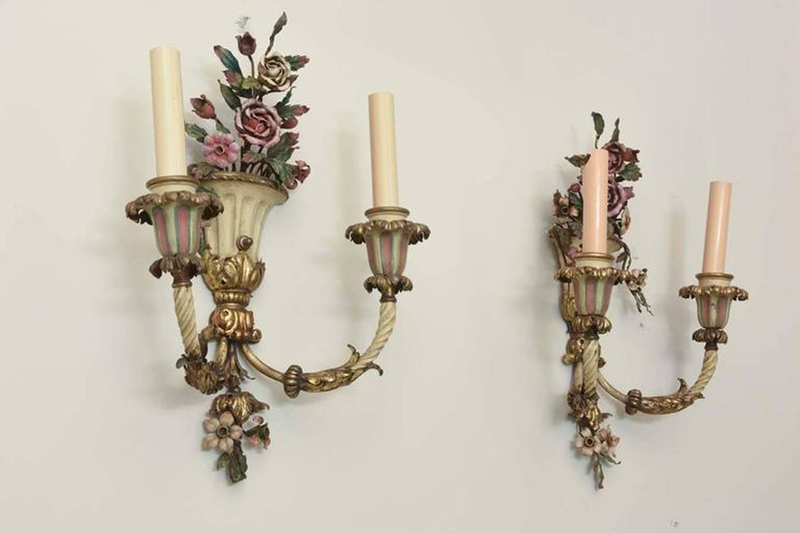 Pair of Finely-Made Floral Urn Form Wall Sconces, Early 20th Century. 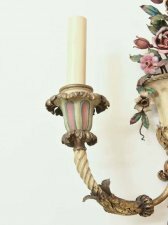 Fine pair of sconces, polychromed decoration over repousse bronze dore, each backplate shaped as a flower-filled urn, having double-candle, C-scroll arms, with acanthus details.